A survey conducted by YouGov revealed that 70% of respondents desired to work more flexibly in the future. A survey conducted by YouGov revealed that 70% of respondents desired to work more flexibly in the future, with 65% adding that it would improve their wellbeing and satisfaction at work. In fact, flexible working is now considered one of the most prized benefits to have, especially amongst millennials. Some employers have been slow to embrace flexible working arrangements because they fail to see the advantages, think it will have a negative effect on their business or are concerned about the impact it will have on other employees. But by resisting change, are these employers missing a very important trick? 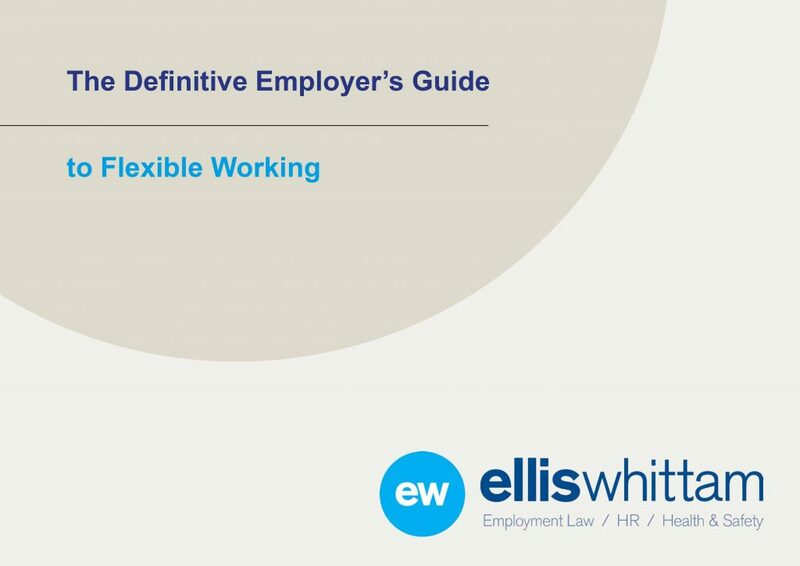 Take a look at our Definitive Guide to Flexible Working to find out the best ways flexible working arrangements can benefit you and your employees. If you would like a consultation on how Ellis Whittam can support your business with all your Employment Law, HR and Health & Safety needs, then contact our team on 0345 226 8393. Or click here to find out how we work with professional services businesses just like yours. Do employees have a right to flexible working? What does the request need to include? How do I consider a flexible working request? What do I need to do if I agree to the change? On what grounds can I refuse an application for flexible working? How could I end up in an Employment Tribunal? Do I need a policy on flexible working?